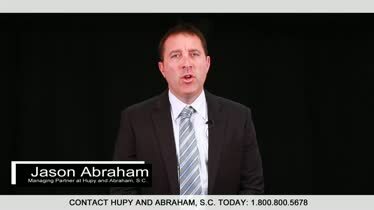 Car Accident Lawyers Des Moines Iowa | Hupy and Abraham, S.C. Injured In An Iowa Car Accident? Here's What You Need To Know. Hupy and Abraham, S.C. 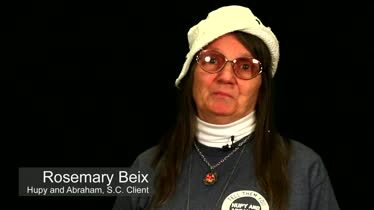 Client Testimonial - Rosemary Beix Hupy and Abraham client Rosemary Beix talks about her accident and what it was like working with Hupy and Abraham on her case. There were 51,908 accidents reported on Iowa roads in 2014. Thousands of people were hurt, hundreds of people were killed, and countless people were left helping their hurt loved ones or mourning their deaths. If you’ve been hurt or if your loved one has been killed, then you need accurate information about your legal rights and your potential recovery. At Hupy and Abraham, our attorneys have more than two centuries of combined legal experience representing people who have been hurt, and we believe that you have the right to have all of your questions answered. Accordingly, we invite you to download our free book, The Ultimate Guide for Automobile Accident Victims, and to browse our extensive website to get the information that you need right now. T-Bone Accidents: A T-bone crash occurs when the front of one car collides with the side of another car. These accidents typically occur when one driver fails to stop for a traffic sign or signal at an intersection and crashes into a car proceeding through the intersection. Rear-End Accidents: When a car hits the vehicle in front of it, then a rear-end accident has occurred. Some common causes of rear end crashes include distracted driving, drowsy driving, and drunk driving. The severity of the injuries suffered in the accident depends, in part, on the speed of both vehicles at the time of the collision. Head-on Collisions: A head-on collision occurs when the front (or head) of both vehicles collide. It could occur when a driver is going the wrong way on a one-way road or when a driver crossed the center line and collides with oncoming traffic. These types of accidents are not as common as other types of crashes, but they often result in significant injuries or death. Pedestrian Accidents: Pedestrian accidents are not always the fault of the driver, but it is often the pedestrian who is most seriously injured. Drivers who are negligent and cause these types of accidents may be liable for the injuries they cause. Bicycle Accidents: Bicyclists and motorists need to share many local roads. When a motorist is distracted, drowsy, drunk or otherwise negligent, then the results can be devastating for bicyclists. Rollover Crashes: Speeding, overcorrecting of the vehicle often caused by drowsiness or distraction, and tire problems can all contribute to crashes were the vehicle lands on its side or its roof. Serious injuries including brain injuries, spinal cord injuries, and death may result. While these accidents may look different, there are often common causes of crashes that result in injury. Distracted Driving: It is against the law for all Iowa drivers to text and drive and for new Iowa drivers to use cell phones while driving. However, distracted driving because of cell phone use, eating, talking, daydreaming and other factors continues to be a common cause of serious crashes. Drunk Driving: It is against the law to drive with a blood alcohol content (BAC) of 0.08% or higher in Iowa. Drivers who are legally drunk—and those who are intoxicated despite lower BAC scores—can cause significant accident injuries. Drowsy or Fatigued Driving: While there is no specific law prohibiting car drivers from driving while they are tired, it is important to know that fatigued drivers may be negligent and dangerous drivers who cause catastrophic crashes. Speeding: Speed limits in Iowa range from 55 to 70 mph on interstates and limited access roads. The speed limits may be much lower on local roads. Drivers who exceed these speed limits put themselves and others at risk of serious injury. Complicated Roadways: The design of a road or the current conditions on a road can make driving confusing and that confusion can result in a driver making a mistake that results in an accident. Teen Drivers: Iowa has a graduated license system. Yet teen drivers are new drivers who lack the driving experience of older drivers. This lack of experience and other factors may make some teen drivers more likely to cause a crash. Elderly Drivers: Drivers who are age 70 or older must have their licenses renewed every two years rather than every five years, as the law requires for younger drivers in Iowa. Despite this increased monitoring of older drivers, the eyesight, reflexes, and other health conditions of elderly drivers may result in accidents. Aggressive Driving: Aggressive drivers are typically in a hurry. They may follow the vehicle in front of them too closely, they may speed, and they may weave in and out of traffic, making an accident more likely. While state laws try to prevent these common causes of Iowa accidents, these factors often result in serious or life-ending injuries. Brain Injuries: Nerve damage, shearing or tearing of the brain’s white matter, lacerations, blood clots, hematomas, and concussions are different types of traumatic brain injuries that can result from Iowa car crashes. The impact of a brain injury is unique to the car accident victim and depends on numerous factors. Spinal Cord Injuries: Incomplete spinal cord injuries such as anterior cord syndrome, central cord syndrome, posterior cord syndrome, Brown-Sequard syndrome, and cauda equina lesions may result from Iowa car accidents. Additionally, complete spinal cord injuries such as paraplegia and tetraplegia can occur. The spinal cord injury that is suffered depends on the part of the spinal cord that was hurt and the manner in which it was injured. Broken Bones: Any bone from the skull to the toe can be broken in a car crash. The impact of a broken bone can be significant and costly. Burns: Some car crashes result in car fires. Car fires can cause significant burns quickly, and these burns can be devastating medical injuries. Amputations: A car crash amputation may occur if a limb is severed during the accident or if doctors later determine that a limb needs to be severed because of the significant injury that has occurred or infection that has developed. Pregnancy Complications: Both a pregnant woman and her unborn child could suffer significant medical complications after a car crash. Prompt medical attention is important. Death: The most significant type of injury that can be suffered in a car crash is death. Death may occur at the scene of a crash or later due to crash injuries. If you have suffered any of these injuries or your loved one has died because of someone else’s negligence then you need to know what to do next so that you can make a fair and just recovery. How to Collect Evidence at the Accident Scene: The evidence that is at the scene of the crash can be very important in determining why the crash occurred and who was liable for the accident. What Not to Do at the Scene of the Crash: It is important to avoid certain actions at the time of your accident so that you don’t inadvertently create additional problems for yourself later. What to Do If You’ve Been in a Crash With a Young Child: Babies and young children should always be seen by a medical professional after a crash, since they cannot accurately report pain or injury. How to Get a Copy of Your Police Report: You can request a copy of your police report from the Iowa Department of Transportation or from a local municipality’s police department after a crash. If the Statute of Limitations Has Expired: You have a limited amount of time to file a lawsuit after a car accident. In Iowa, that time limit is typically two years, though exceptions to that general rule may apply. Whether You Have Standing to Sue: Before you file a lawsuit, you should know if you have the legal authority to sue. If you are a mentally competent adult then you have the right to sue for your own personal injuries. Special rules apply for children, for adults who need a legal guardian, and for wrongful death cases. If Comparative Negligence Will Block Your Recovery: You may be able to recover damages even if you were partly at fault for the accident. Your damages will be reduced by the amount of fault attributed to you if you were 50% or less responsible for the crash. If you bear 51% or more of the fault for the crash, then you will not be able to recover damages. How to Deal With Insurance Adjusters: Insurance adjusters are looking out for the interests of their employers and can use what you say and do against you. Thus, it is important to know how to effectively deal with insurance adjusters so that you can protect your rights. How Settlements Work: You can’t count on the insurance company to provide you with a fair settlement unless you know how settlements work and how to successfully advocate for your own recovery. Whether You Need Expert Witnesses: Different types of expert witnesses may be important to your Iowa car accident case. You may need expert witnesses, for example, to help prove how the crash occurred or what your fair damages should be for your injuries. If You Need an Attorney: There are benefits to contacting an attorney after a car crash. Most importantly, an experienced lawyer can help you get the recovery that you deserve with as little stress as possible. It is also important to know about Iowa car seat laws and minimum car insurance requirements both before you get in a crash and, if relevant, after you’ve been injured. Together, these tips and resources are important to your potential recovery. Medical Expenses: This includes hospitalizations, surgeries, doctors’ appointments, tests, medications, assistive medical devices, rehabilitation therapies, and any other costs related to your medical needs for your accident injuries. Out-of-Pocket Costs: Property damage, transportation costs, household help, and other expenses can add up after an accident and may be compensable. Lost Income: Your lost wages, benefits, or income from clients or customers is compensable if you are unable to work or unable to work the same hours because of your accident injuries. Pain and Suffering: Physical pain and emotional suffering may be among your most significant injuries. They can be hard to value, but it is important that they are included in your settlement or court verdict. Together, these car accident damages can have a significant impact on your recovery and on your future. 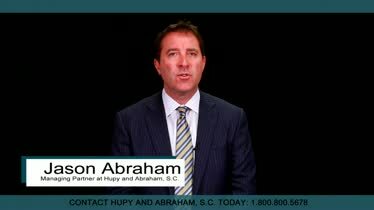 Hupy and Abraham, S.C. is more than just another law firm. They are a pillar in the community providing both monetary and in-kind support to organizations in need. I work with several non-profits and other business in the city ( House of Love, Destiny Productions, Memah's Kitchen, Autism speaks, Mobile City Street Teams, etc...) and Hupy and Abraham has personally supported the mission and vision of each of the aforementioned places in a big way. Their self-less, empowering nature makes our community better because of their presence. Our personal injury law firm is here when you need us. Contact us anytime—24//7/365—by phone, text, online chat, or through our online contact form to schedule a free, no-obligation consultation today. Contact Us If You've Been Injured in a Car Accident If you’ve been injured in a car accident, come to the firm with experience and results. 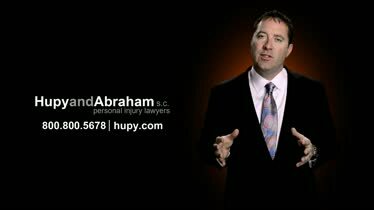 Hupy and Abraham has represented over 70,000 injury victims. What Is the Statute of Limitations for Car Crashes in Iowa? There are certain time limitations that a car accident victim has to file a lawsuit for damages. Find out what the Iowa time limits are by watching this video. Attorney Jason Abraham and His Daughter Ali Save Lives Attorney Jason Abraham and his daughter Ali Abraham — "DON'T TEXT AND DRIVE CAMPAIGN"
What if the Other Driver Doesn't Have Insurance in an Accident? Insurance companies are for-profit businesses. They do not make any money by paying claims. They make money by accepting premiums. Should You Speak With a Lawyer Before The Insurance Company? If your case is worth that amount of money the day of the accident, it’ll be worth that same amount of money, a month after the accident. Don't Sign Your Rights Away to the Insurance Company Make sure you do not sign any paperwork immediately after an accident. Injuries that you never thought would happen, can come up days, even months later. FREE Cards and Stickers, Contests, Whitepapers, Brochures, and More!